The midwife ushered Parisio into the bedchamber. Her tear-stained face told him that something was not right. When the midwife slowly pulled back the blanket, Parisio gasped. “It’s a girl, my Lord,” the midwife whispered. “It is a monster!” Emilia sobbed. 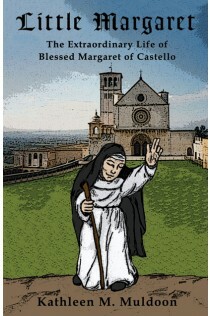 It’s no wonder Margaret was beatified by the Church!